Since returning from Norway in early December a great deal of interest has been shown in the Northern Lights phenomenon. Last week the BBC produced a fantastic programme, “Stargazing Live,” during which presenters used a plane to fly above the clouds to broadcast some awesome pictures. Travelling below the cloud cover by land or by ship as I did is very much hit and miss as clear skies are needed to see them but it is an adventure none the less. 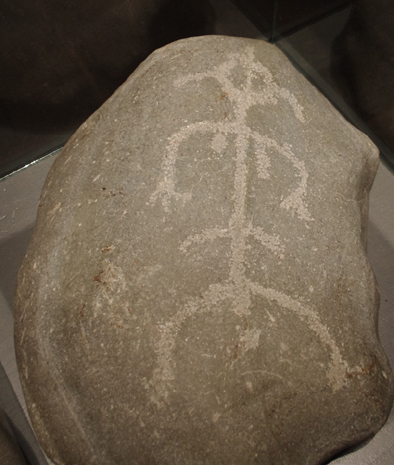 What I saw was similar to the picture below. 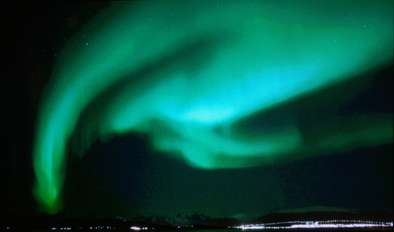 I did not see the bright greens, pinks or reds for which the Aurora Borealis is renowned. It was more of a creamy white in appearance. I did see some faint tinges of green and I have heard that the colours come out better when photographed as the long exposures required for them to show up are more sensitive than the human eye. However, I do wish I spent more time admiring them with the naked eye rather than fiddling with the exposure settings on my digital camera as being there underneath them was a great experience in itself. The BBC and its stargazing programme must be congratulated for showing us how beautiful the universe really is. The excitement of the participants was infectious and is sufficient inspiration to keep me travelling to experience more of the sights, sounds, smells, touches and tastes that surround our world. This was a bad weather day. 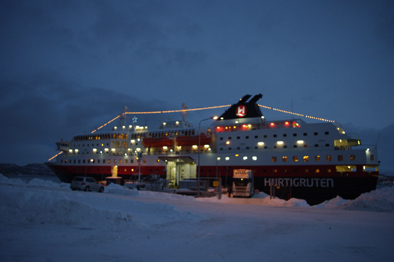 The ship pulled into Honningsvag which is the harbour nearest the North Cape. The North cape is Europe’s most northern point and we were due to set foot here for some site seeing. But the Captain told us that the wind was picking up so only those disembarking were allowed off the boat. However, I was able to take some photographs of the town from the deck. We turned southward towards Alta and because of the wind experienced some very choppy water and were advised not to walk around the ship. 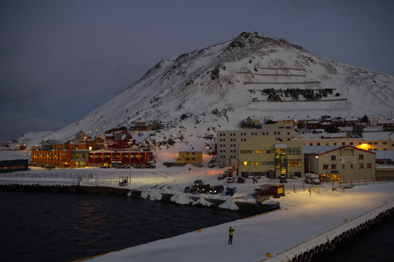 In the evening we were treated to an excellent open buffet consisting of Crab meat, crayfish, lobster, squid and cod and I ate some stewed reindeer for the first time in my life. I found it very tasty indeed and hoped that Santa was not watching. It is planned that we stay in Alta over night and tour the town the following morning. 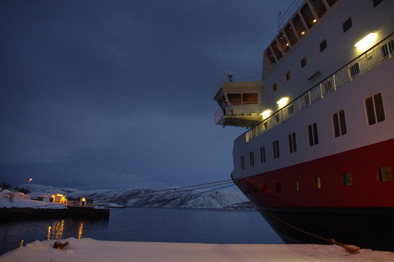 By then the bad weather should have past and we can head north again towards Hammerfest.